Tressi L. Cordaro , Jackson Lewis P.C. At a recent American Bar Association meeting, Jordan Barab, Deputy Assistant Secretary of Labor for OSHA, Dorothy Dougherty, Deputy Assistant Secretary of Labor for OSHA and Tom Galassi, Director of Enforcement Programs, all stressed the agency’s continued focus on key enforcement initiatives, such as temporary workers, workplace violence and heat stress. In addition, they emphasized the increased use of corporate-wide settlement agreements and enterprise-wide relief and the continued use of the severe violator enhancement program (SVEP). According to OSHA, some of these initiatives are creative enforcement tools, and it was made clear that OSHA continues to see enforcement, as opposed to compliance assistance, as its primary objective. This push on enforcement in the last several years is illustrated by recent statistics, such as the increase in the average penalty. The numbers continue to reflect OSHA’s enforcement efforts. As indicated in the charts below, the average penalty per serious violation doubled in fiscal year 2011, with a slight drop in the average penalty for fiscal year 2013. 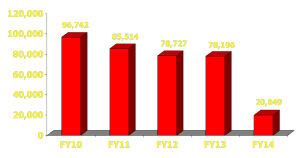 It appears that the average penalty per serious violation for fiscal year 2014 has increased, and is at the highest it has been compared to the previous four years. Given that the fiscal year does not end until September 31, 2014, it remains to be seen if this average will increase or stay the same. Interestingly, it seems that the sequestration had little impact on the total number of violations issued in 2013 compared to 2012. Both fiscal years averaged roughly 78,000 total violations issued. 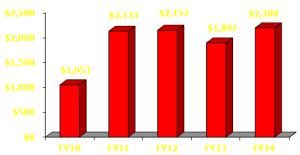 However, this time last year, the number of total violations issued for fiscal year 2013 was roughly 26,000. In comparison, to date for fiscal year 2014 the total number is roughly 20,000. This drop in total violations is likely due to the government shutdown in October, which impacted the beginning of fiscal year 2014. Also worthy of noting is that the percentage of inspections resulting from a complaint for fiscal year 2014 has already exceeded those for fiscal year 2013. In short, complaint inspections are on the rise. For the entire 2013 fiscal year 24% of inspections were the result of complaints. For only a portion of the fiscal year 2014, that percentage is up to 28%. This could average out the next few months; however, it appears that more inspections are resulting from employee complaints. And while OSHA’s list of Top 10 Most Cited Standards typically changes very little year to year, for fiscal year 2014, the list included scaffolding and ladders. 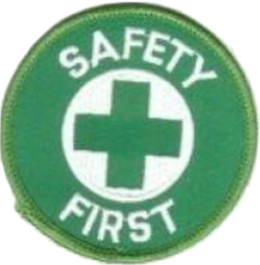 Removed from the list was bloodborne pathogens and personal protective equipment.